HARARE – The total number of migrants in South Africa, mainly constituted of African nationals seeking greener pastures, is estimated to have increased by about 62.5 percent to 3.6 million, says Statistics SA (StatsSA), at a time the Department of Labour has called for input from South Africans on Draft Regulations on the Employment of Foreign Nationals. The 2011 South Africa population census shows that migrants from African countries to South Africa totaled 1 636 761, or 75.3 percent of all foreign-born people in the continent’s most sophisticated economy. StatsSA said that this figure had massively increased between 2011 and the end of 2018. “Evidently these numbers have increased since 2011, and while it is estimated the total foreign-born (populace) has increased by about 62.5 percent (2.1 million to 3.6 million) in the period 2011 to 2018, the increase among African migrants may differ from the total,” Diego Iturralde, the chief director for demography at StatsSA said. South Africa has increasingly become attractive for migrants seeking better employment prospects and those running away from crisis situations in regional countries such as Zimbabwe, Mozambique, and even as far afield as Somalia. 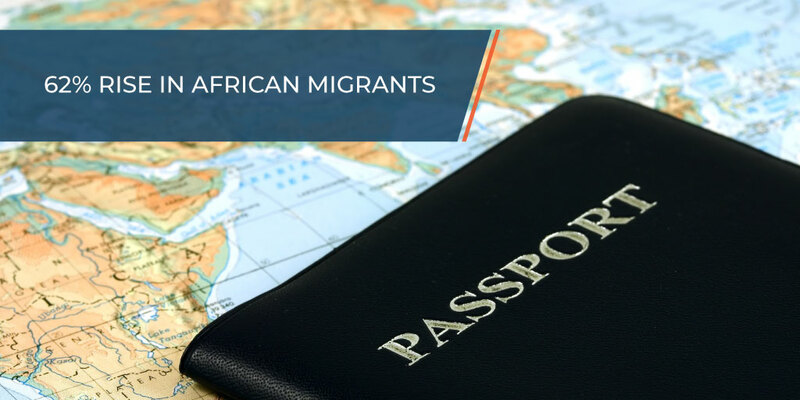 The South African migrants from across Africa have been important for South African companies who are tapping into their skilled labour. Others also provide labour on farms and in some factories. The South African media has reported that the ANC is keen to tackle the issue of undocumented migrants in its campaign for this year’s elections. President Cyril Ramaphosa has also said that the country needs to manage growing regional immigration trends to South Africa. StatsSA said based on the 2011 census, about 910 752 (migrants) were employed, which equated to an employment rate of 80.5 percent. This number was also estimated to have risen significantly. “This figure is based on the employed/unemployed, of which the latter is made up of people looking for work or attempting to start their own work or working in kind. It excludes people who are not looking for work or those studying, etc. “The data is, however, unable to determine whether they worked for South African companies or companies of other nationalities,” said StatsSA. Other experts highlight that the figure of employed African migrants in South Africa would have significantly increased. However, South Africa is now reviewing the employment conditions of foreign nationals. South Africans are currently invited to comment on the Draft Regulations on the Employment of Foreign Nationals released by the Department of Labour. Towards the end of last year, discussions arose around the impending implementation of Section 8 of the Employment Services Act pertaining to the employment of foreign nationals. The regulations centre on the protection of local labour by first seeking employers to exhaust the local labour market before looking at employing foreign nationals. Remittances by migrants from Zimbabwe, Lesotho, Mozambique, and Malawi who are settled in South Africa have been key in the survival and education of relatives back home. StatsSA said about 60 percent of the employed migrants “worked in the formal sector”, while 18 percent were employed in households, with the remaining 3.1 percent not knowing their sector. However, the UN Population division estimates in its latest stats released in 2017 that there are about 4 million migrants settled in South Africa. Stats SA says “the number of 4 million for 2017 is on the high side”. The UN Population department says there are more Mozambicans in South Africa than Zimbabweans, a key statistic with which StatsSA does not agree. Most expat Zimbabweans – who have largely sustained their relatives back home through remittances – have been streaming back into South Africa after the festive season holidays. But there are South African concerns that the number of those seeking greener pastures south of the Limpopo have increased owing to continued economic hardships rocking Harare. Estimated figures suggest that as many as 3 to 5 million Zimbabweans are living in the diaspora, including the UK and Botswana, but more than half of these are said to be in South Africa, which is also Zimbabwe’s biggest trade partner. Due to illegal border crossings from Zimbabwe to other counties, official Zimbabwean data are incomplete. Zimbabwe immigration officials say nearly half a million people, most of them traveling for the just-ended holidays, entered and exited through the Beitbridge border post. A worsening of the economy could drive even more Zimbabweans into South Africa, where there have been issues with obtaining work and study permits. “The economic and political crisis in Zimbabwe is worsening. This affects our neighboring countries, particularly South Africa,” Jacob Mafume, a spokesperson for the main opposition MDC Alliance, said. However, it is no easy feat for any Zimbabwean to settle, let alone obtain a work visa unless one holds qualifications in areas deemed by Pretoria to have a shortage of critical skills. South Africa had set October last year as the deadline for applications for Zimbabwean Exemption Permits, which allow Zimbabweans with non-specialist skills to stay in the country for up to four years, according to reports. However, the permits will cover only a small fraction of Zimbabweans in South Africa. Other special permit dispensations cater for as many as 250 000 Zimbabweans staying in the country. Other Zimbabweans, Mozambicans, and Malawians, among other regional nationals, are irregularly settled in South Africa and face daily risks of deportation, while there is also a big number of informal traders who temporarily stay in South African cities to sell goods from their home countries. In 2018, there were more Zimbabweans and Malawians arriving in South Africa than from any other African country through land ports of entry.